Advanced disk, cache, and system cleaning tool. Is there a better alternative to DiskKeeper Pro? Is DiskKeeper Pro really the best app in Optimizers category? Will DiskKeeper Pro work good on macOS 10.13.4? 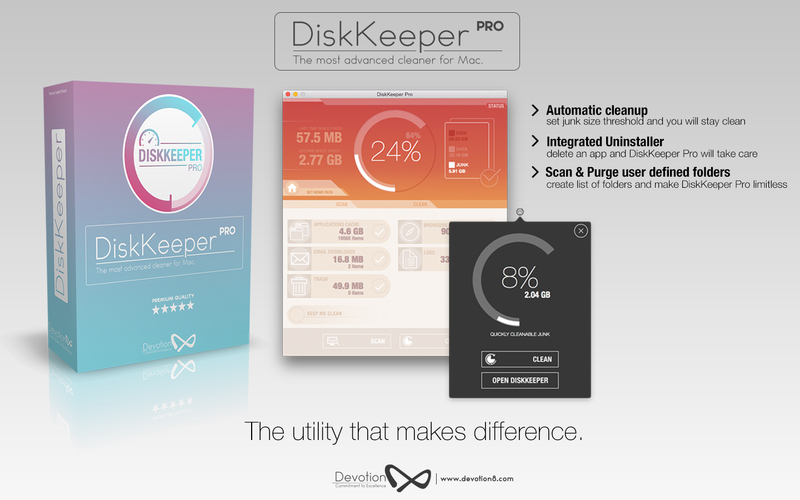 DiskKeeper Pro, the successor to DiskKeeper, is our most advanced cleaner yet. Note: Currently available for $9.99. DiskKeeper Pro has an optional auto cleanup feature that will trigger every time a preset junk size threshold is reached. Also supports optional Notification Center reports that informs you of size of the junk that has been auto cleaned. 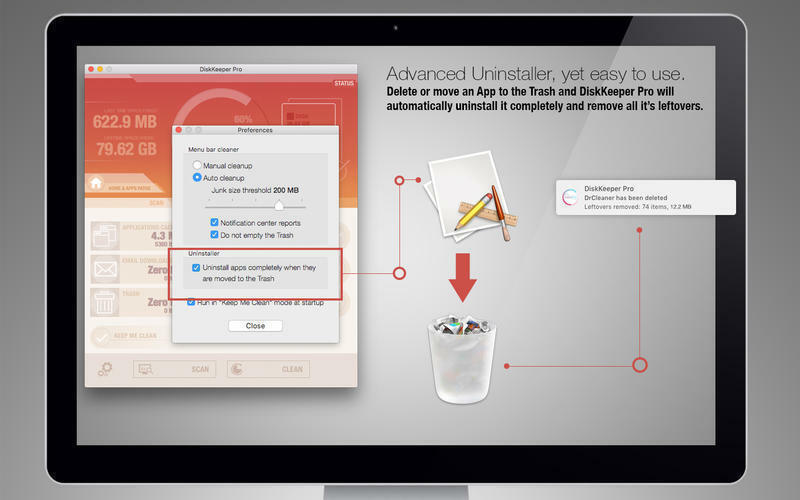 Advanced yet easy-to-use integrated uninstaller. Just delete or move an app to the Trash and DiskKeeper Pro will uninstall it completely and remove all its leftovers. DiskKeeper Pro has a special "Keep Me Clean" mode. In this mode it will remain in your menu bar, ready to remove any kind of quickly cleanable junk. A state-of-the-art advanced cleaner with an amazing user experience.